Captain Marvel, Avengers 4: Endgame, Toy Story 4, It: Chapter Two, and many, many more! 2018 was quite the year for movies. I mean, between Black Panther and Avengers: Infinity War, superheroes ruled the big screen. And 2019 will be no exception -- with big blockbuster movies like Avengers 4: Endgame and Captain Marvel, along with other exciting thrillers like Stephen King's Pet Semetary and It: Chapter Two or Jordan Peele's Us, there will be plenty to see in 2019. Not to mention the final installment in the Star Wars sequel trilogy that'll hit theaters at the end of the year. From M. Night Shyamalan, Glass weaves together his two previous films -- Unbreakable (2000) and Split (2016) -- into a new comic book thriller. The film stars Bruce Willis (returning as David Dunn), Samuel L. Jackson (Elijah Price aka Mr. Glass), and James McAvoy (Kevin Wendell Crumb). Five years after the events of the first movie, The Lego Movie 2 finds the citizens of Bricksburg facing a new threat in the form of LEGO DUPLO invaders. Emmet (Chris Pratt), Lucy (Elizabeth Banks), Batman (Will Arnet), and their friends must defeat the enemy and restore everything back to being awesome. The third and final installment of the How to Train Your Dragon trilogy brings back our favorite characters from the first two films, including loveable dragon Toothless and his companion Hiccup, along with their friends. They dream of a utopia where dragons and humans can live in harmony, but a dangerous threat to their village tests their strength and loyalty. Set in 1995, Captain Marvel follows former U.S. Air Force fighter pilot Carol Danvers as she turns into one of the universe's most powerful heroes and joins Starforce, a Kree military team. But she soon finds herself caught in the middle of a galactic war. Get Out writer and director Jordan Peele is back with another nightmare-inducing thriller that stars Lupita Nyong'o and Winston Duke as Adelaide and Gabe Wilson, who take their two children for an idyllic summer getaway, but soon find themselves against a terrifying opponent: doppelgängers of themselves. The first of three live-action Disney adaptations to hit theaters in 2019, Dumbo tells the story of a young circus elephant who gets teased and ridiculed because of his large ears. Following an accident, he's then forced to dress like a clown and perform dangerous stunts. Everything changes for Dumbo when he finds that his huge ears allow him to fly. 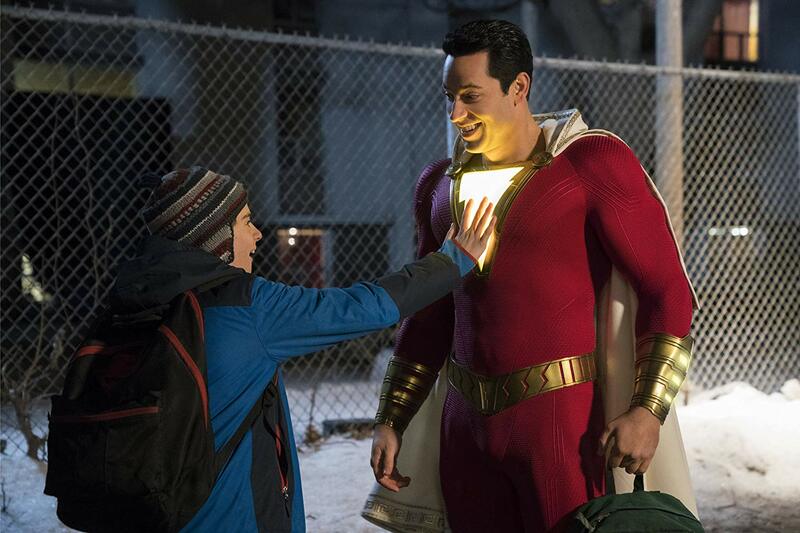 A 14-year-old soon finds himself with the capabilities and powers of a superhero, and all he has to do is say the magic word, "Shazam." His powers are then tested by the evil Dr. Thaddeus Sivana. Based on Stephen King's horror novel, Pet Semetary follows a family who has moved to a small town that holds dark and disturbing secrets, including a mysterious burial ground near the family's home. Starring Stranger Things' David Harbour as the titular character, Hellboy is based on graphic novels by Mike Mignola that combines the natural world with the supernatural as Hellboy fights an ancient being hell-bent on revenge (see what I did there?). After the events in Avengers: Infinity War, the remaining Avengers must find a way to relinquish Thanos of his power while simultaneously figuring out a way to bring back their vanquished allies. Taron Egerton (Kingsman) portrays Elton John in this epic musical fantasy that journeys through the singer's breakthrough years. The second live-action remake from Disney in 2019, Aladdin tells the classic rags-to-riches (and then back-to-rags) story of a street rat named Aladdin, who falls in love with Princess Jasmine. Aladdin enlists the help of a magical genie to win the girl! Another installment in the X-Men series, Dark Phoenix has the X-Men team facing up against one of their most formidable enemies yet: Jean Grey. Played by Game of Thrones' Sophie Turner, Jean finds herself with newfound powers after returning home from a rescue mission in space, however, her powers aren't easy to control. 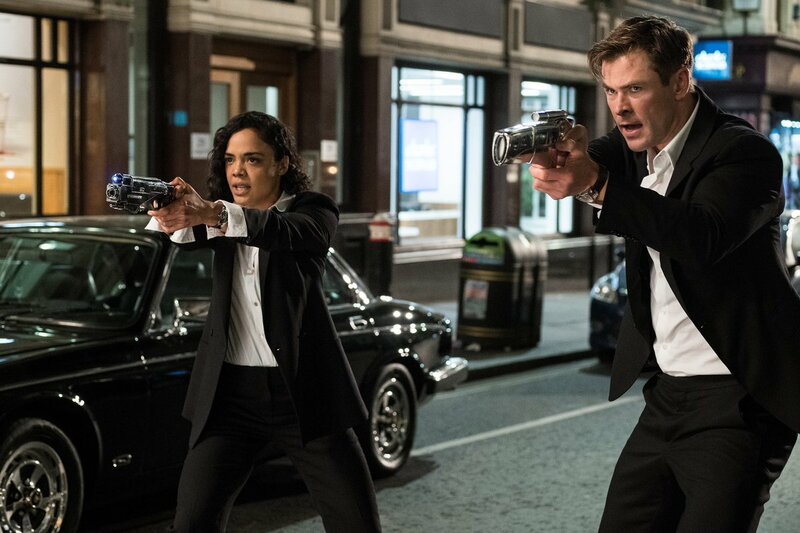 Chris Hemsworth and Tessa Thompson (Thor: Ragnarok) are rebooting the popular Men in Black series that starred Will Smith and Tommy Lee Jones -- only this time, they're taking things international. As Agents H and M, respectively, the two must defend earth from aliens all while saving the organization from a threat within. There really hasn't been much released on the upcoming Disney-Pixar film Toy Story 4. Although, we do know our favorites from the previous three movies will be returning, like Woody, Buzz, and Jessie. Plus, we'll meet new additions like Forky, a spork that's been made into a toy, among others. Spider-Man: Far From Home follows Peter Parker and his friends as they go on summer vacation to Europe, where Peter finds himself trying to save his friends against a villain known as Mysterio. The third and final live-action film by Disney, The Lion King journeys to the African savanna where a future king is born. And with such an all-star cast, including Donald Glover (Simba), James Earl Jones (returning as Mufasa), Beyoncé (Nala), Chiwetel Ejiofor (Scar), and more, we can't wait to see this beloved story come to life before our eyes. A spin-off of The Fast and the Furious series, Hobbs & Shaw will focus on Jason Statham and Dwayne Johnson's characters from the popular franchise. Very little has been revealed in terms of the plot, but if it's anything like its predecessors, it's going to be massive! 27 years after the events of the first movie, the Losers' Club return to their hometown of Derry as they are tormented by the evil clown Pennywise. Continuing the saga of the Crawley family made famous in the television series Downtown Abbey that ran from 2010 to 2015, the movie brings back the fan-favorite characters to the big screen. The original cast from the 2009 hit Zombieland return in the highly-anticipated sequel that finds Tallahassee, Columbus, Wichita, and Little Rock fighting a new kind of zombies. Written and directed by Elizabeth Banks, this new adaptation of Charlie's Angels stars Kristen Stewart, Naomi Scott, and Ella Balinska as the three Angels. We don't know a lot in terms of the plot just yet. Elsa and her sister, Anna, embark on an adventure far away from the kingdom of Arendelle in this sequel to the smash 2013 hit from Disney. After the surprise 2017 hit that was Jumanji: Welcome to the Jungle, the folks at Sony have announced that another Jumanji film is in the works. Though, we still don't know what it will be about. The final installment in the sequel trilogy, the untitled Episode IX film will (hopefully) redeem the events of The Last Jedi. And with JJ Abrams at the helm, we're remaining optimistic. What do you think? Which of the above movies are you the most excited for this year? Are there any that we forgot in our list? Let us know in the comments below, and we'll see you at the movies!